Berlin-based internet service and SIP provider easybell is part of the ecotel telecommunications group listed in Germany. Since its founding in June 2006, easybell has been distributing convenient and fair solutions for private and business customers alike. easybell operates its own advanced telephony infrastructure and offers SIP trunks with up to 200 lines and VDSL connections for business customers. 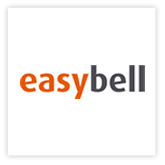 For more information about easybell and its partner program, please visit easybell.de/business/partnerprogramm. equada GmbH is a German based cloud and VoIP provider. Operating their own IP and telephony network, equada meets highest standards of quality and performance. Redundant network connections and three independent data centers ensure a maximum resilience for your telephony solution. Their certified and tested “VoIP Trunk” product offers all required features for German business customers at an affordable price. As part of a small team of enthusiasts, gnTel founder John Ouderling – formerly director of KPN Research – already began working on internet telephony in the late 1990s. 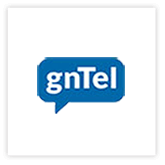 In 2004, the decision was taken to establish gnTel as first Hosted Voice Service Provider in the Netherlands. From that time onward, things went quickly. gnTel now has thousands of customers and more than 100 well trained resellers in the Netherlands and in Germany. peoplefone was founded in Switzerland in 2005 and is one of the leading VoIP providers. The peoplefone group has subsidiaries in 6 European countries; in Germany since 2014. Currently, more than 60’000 business and private customers all over Europe make phone calls through peoplefone systems. The telecom operator works with over 350 installation partners throughout Germany. In addition, peoplefone is certified by all known PBX manufacturers. peoplefone offers customized SIP-TRUNK and HOSTED solutions, unlimited number of voice channels, number porting of German and international telephone numbers, as well as competitive telephone rates without connection setup fees.